St. Martin's Griffin, 9780230341975, 304pp. 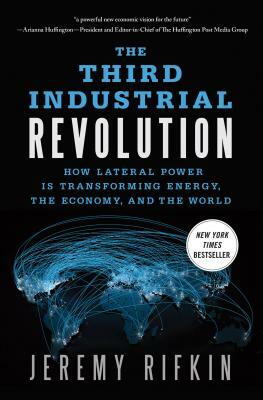 The Third Industrial Revolution is an insider's account of the next great economic era, including a look into the personalities and players — heads of state, global CEOs, social entrepreneurs, and NGOs — who are pioneering its implementation around the world. Jeremy Rifkin is president of the Foundation on Economic Trends and the author of eighteen bestselling books, including The Hydrogen Economy and The End of Work. He has been a guest on Face the Nation, The Lehrer News Hour, 20/20, Larry King Live, Today, and Good Morning America. The National Journal named Rifkin as one of 150 people in the U.S. that have the most influence in shaping federal government policy. He has also testified before numerous congressional committees, and since 1994, Mr. Rifkin has been a senior lecturer at the Wharton School’s Executive Education Program at the University of Pennsylvania. Rifkin is chairman of the Global CEO Business Roundtable, which includes IBM, Cisco, Cushman and Wakefield, and has served as an adviser to various global leaders, including Nicolas Sarkozy of France and Angela Merkel of Germany. His monthly column on global issues appears in many of the world’s leading newspapers and magazines, including The Los Angeles Times, The Guardian in the U.K., Die Süddeutsche Zeitung in Germany, Trud in Bulgaria, Clarín in Argentina, and Al-Ittihad in the U.A.E. He lives in Bethesda, MD.